What happens when a genius aeronautical engineer decides to take up cookie decorating? Magic. If you’ve been hanging around Cookielandia for long, odds are you’re already familiar with one of our most popular man-bakers, Semi-Sweet Mike. 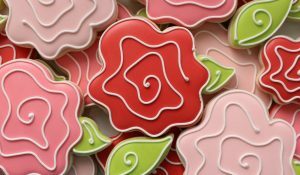 In addition to amazingly cute, brilliantly-engineered, cookie cutters, his step-by-step instructional posts make recreating the designs a breeze! I have to admit, when it comes to Mike’s cutters, resistance is usually futile, but one of you lucky duckies won’t have to worry about that! For a chance to win a $50 credit to Mike’s shop, follow the instructions below. Remember, the giveaways are only running for three days, so don’t wait! For a complete listing of the Third Annual Twelve Days of Giveaways, click here. All cookiers inspire me, but Semi-Sweet Mike is my cookie crush! I would love to win this awesome prize! oooooo Mike’s cutters are great…fingers crossed…thank you all for a chance to win! Me, me , me! I love Mike’s style! I Love Mike’s Cutters and Tutorials! I keeping my fingers and my toes crosses to Win this Gift Card! I have fallen behind on my cutters that I want! Which are all of them. Their so adorable!!!!! Soooo…what an amazing gift this would be!!! Fingers and toes crossed!!! YIPPEE! Love Mikes’s work! He’s one of my top cookie idols! Agreed, Mike’s cookies make me swoon! Next to you Callye, Mike’s cookie cutters are the greatest. I hope I win so I can add to my small collection of his cutters. New to your page and I am sooooooo inspired!! Not enough time in my day!! UGHHH love these cutters!!! 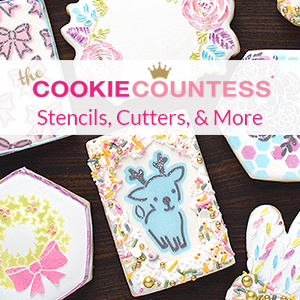 LOVE the tutorials and guidelines – in addition to the cutters! Man baker!! That’s the best title ever. Even my husband knows who semi-sweet Mike is (probably helps that they share the same name). So he’s literally a household name at our place! I love you Mike!! But you already know that. It’s not allowing me to refer people. I can’t paste the URL into the box at the bottom. I probably won’t win but at least I have all the other entries! Just adorable cutters! Would love to win some as hubby & I like baking for the grandkids. Thanks for the chance to win your generous giveaway. I love all the designs, they are so cute and creative. It would be fun cookieing (now that should be a new word to enter into Webster’s next year.) with them. 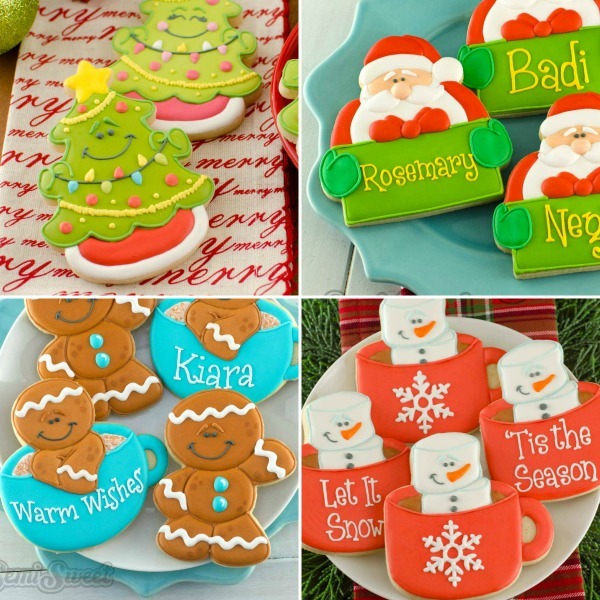 Definitely adds a bunch of Christmas to my days…seeing all these wonderful cookie designs! Thank you! He makes it all look so easy!!! He is just amazing!! Would love to own some of these unique cutters! I love everyone’s cutters. Want them all! 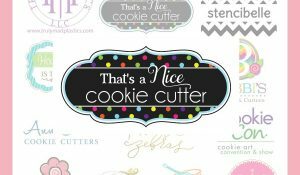 Love these cutters! Need them all! Love Semi Sweet Mike..Don’t know why I hadn’t ?? his FB page since I follow him on IG! I fixed that error. Following both pages now! I love Mike cutters they are great!!! 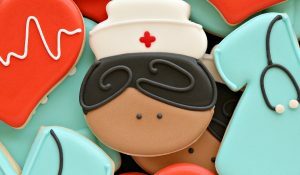 Love all cookies. 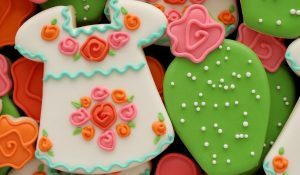 Enjoy watching cookie videos. OMG these are adorable !